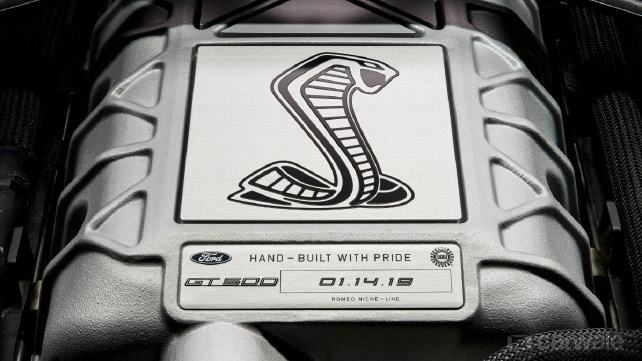 Ford has just teased its flagship Mustang, the GT500 and its going pack quite a bite. While one can’t make out the details with the supercharger cover pic which Ford shared on twitter, it did mention a while back that it will be the most powerful street-legal production Ford ever built kicking out in excess of 700bhp. The monstrous horsepower is thanks to Ford’s 5.2-litre Voodoo V8 dubbed the Predator, built on the ‘low volume’ line at Ford’s engine plant in Romeo, Michigan. The GT500 will go up against the Chevrolet Camaro ZL1 and the Dodge Challenger SRT Hellcat Redeye. The new GT500 will be unveiled at the Detroit Motor Show on Jan 14th, 2019 and is likely to go on sale by September 2019.